I've checked Oxford Advanced Learner's Dictionary and I found that die is an intransitive verb most of the time. I checked other dictionaries as well. I didn't find any usage of "die" as per which we can say, "He died himself." I want to know whether this usage is correct and on what basis. Additionally, I find examples of this usage on British National Corpus as well. 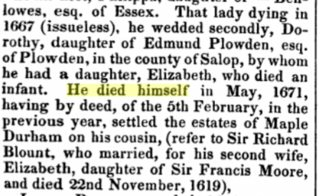 I searched [die] [p*] in it and found died himself, died oneself, etc. When I search on Google "he died himself" (with quotes). I find many examples there as well. The example "he died himself" is grammatical provided it occurs in a context which allows "himself" to be interpreted as a sort of intensifier. For instance, "The doctor devoted his life to preventing death, but in the end, he died himself." Or, the intensifier can occur immediately after the noun phrase it intensifies -- " ... he himself died." At any rate, the "himself" in such a case is not the object of the verb, but serves another function. Without enough context, it will be ambiguous. "He died himself" pit against "He died a hero" could mean he died being his normal self without becoming a hero. So it's okay to use, but not as a standalone sentence though. See following examples where it is used to emphasize the antecedent's identity, as opposed to being instances of himself as reflexive pronoun. Himself used thus is an intensive pronoun. Intensive pronouns use reflexive pronouns to add emphasis to the subject of the sentence. The intensive/reflexive pronouns are myself, yourself, himself, herself, itself, ourselves, yourselves and themselves. You’ll usually find the intensive pronoun right after the noun or pronoun it’s modifying, but not necessarily. The way to identify an intensive pronoun is to remove it from the sentence; if it’s an intensive pronoun, the sentence will still make sense. If the sentence no longer makes sense, it’s a reflexive pronoun. Did you yourself make the cake? The sentence would still make sense if we removed yourself: "Did you make the cake?" Not the answer you're looking for? Browse other questions tagged word-usage transitive-verbs intransitive-verbs transitive intransitive or ask your own question. Are “revisited” and “revisiting” temporally different? Is “to circuit” a common verb in colloquial language? “Typical of” or “typical for”? Can “abscond” be used as a transitive verb? Is it correct that only transitive verbs can have passive form?